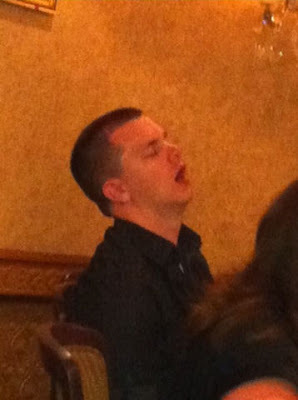 The man on the left had fell asleep at the dinner table inside the Four Queens. 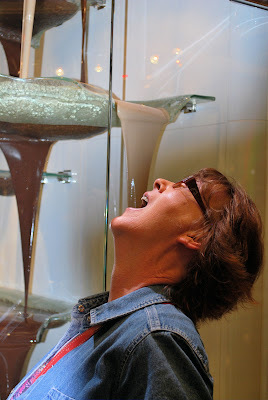 Debbie is on the right, trying to taste the chocolate from the worlds largest chocolate fountain at the Bellagio. The 2011 Tiger Baseball Camp has been officially announced. Visit the Terrell ISD website or click here for information and registration. May 23rd at 6 PM is the Spring Sports Banquet. The annual Run for the Wall begins tomorrow in Arizona. The Southern Route will make its stop in Terrell on Sunday at approx 10AM in the Brookshires parking lot.